LocoNet cable is cheap and easy enough to assemble it your self. press the RJ12 connector on the wires. Keep in mind that all 6 pins are used, and all have different signals. 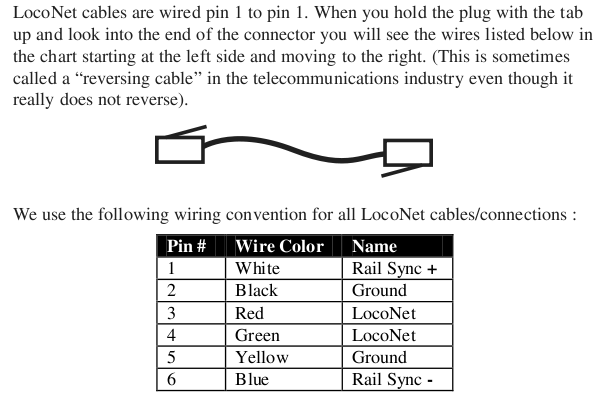 So you must make sure that the colors are matching on both sides of the cable connectors. The demo cable described below (24 cm) will cost about € 0.23 !!! Check the cable: Same color on the same pin!! !